Last time, I talked about mange in general. The tips were not as specific as the one I will be mentioning now. It's been a month since we've gotten Bob from the neighbors. Two weeks ago, I've noticed that his mom and other sibling had serious demodectic mange infections. I whispered to myself, this is going to be bad news. And it is! Now Bob has mange, too. He even has bald patches of skin on his legs and face. I've been searching for home remedies for mange all over the web and from other books. Here are some I've compiled. Unfortunately, I haven't tested it yet except garlic. Crush 4 cloves of garlic and let it sit in some cooking oil for a night. This cooking oil will be used later on the area affected by mange. Apply the cooking oil on the affected area to lessen the irritation caused by mites. They'll also suffocate the darn buggers. I don't this would be a good idea to use on dogs who've scratched too much that their skins have open wounds. Check your pooches skin for bleeds or deep scratch marks before considering direct skin application. Boil some water and drop 2-3 slices of lemon on it. Let it stay for the entire night and use it on your pets coat the next morning. Unpasteurized Apple Cider Vinegar is not the same as regular vinegar. Adding a tablespoon of it to your dog's food should help in treating the mange. I've talked about this in my previous post. Kindly click on the link above to check it. Borax is not widely available in the Philippines. According to my memory, I remember purchasing it in Ace Hardware or Handyman. After going to multiple grocery and hardware stores, we were lucky enough to find the last box which approximately cost $6. It's better to go to vet and have your pooch checked up before considering the Borax solution. Bayer Advocate (the one used on Buchi) cost $9, and it gave Buchi instant relief from the itch and the mange. Most vets do not recommend this because of its "carcinogenic" claim. Others who've been using this say it's highly effective. They've also added that its effect is almost instant.Doggy no longer itches. I say, it'll probably be my last resort because it's the messiest treatment. I understand motor oil can effectively suffocate the mites living in your pets which will help minimize their population. Rather than attacking the mites themselves. Some have used another approach to the mange issue. They've resorted to building the immune system and nurturing the skin. 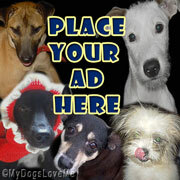 Minor demodectic mange can heal on its own given your dog is packed with the proper nutrients. Giving him fish oil is a good way to help his skin grow healthier. I usually add a tablespoon of Omega-3 (the one from a famous canned tuna) oil or vegetable oil in Bob's diet. To add to fish oil, I've been giving him 1 ml of LC-Vit. It's a vitamin the vet gave me when Buchi had his sarcoptic mange attack. This is to give him the nutrients his everyday diet cannot provide. I also feed them carrots and other crunchy vegetables as treats. The first vet I brought Buchi to made it a point that anti-mange soap for dogs are not good for puppies. She said it would be better to use sulfur soap. Bathing him 3 times a week would help minimize the mite growth. The problem with sulfur soap and some of the remedies above is that they'll dry your dog's skin. For this, I suggest aloe vera gel or simply aloe vera. This will lessen the irritation of dry skin. Natural honey (not the one used for pancakes) can also soothe reddened skin. NOTE: It is important to know that even healthy dogs have mites. Their population will usually increase once Fido's health or immune system is compromised. If a dog is constantly bombarded by stress, this may be their opportunity to cultivate and disperse. Puppies on the other hand have weak immune systems. 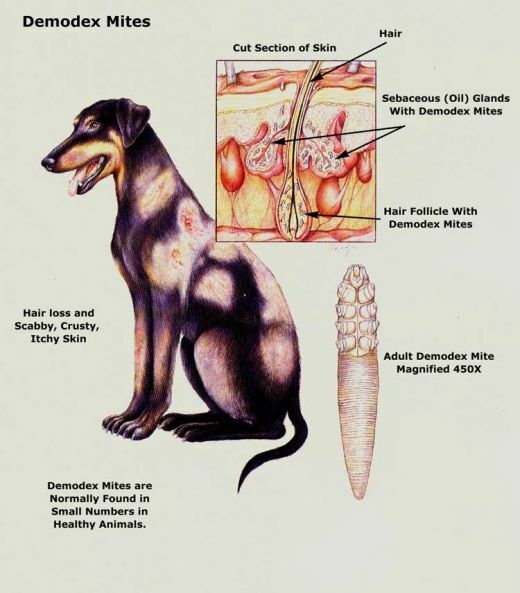 That's why they're more prone to demodex mites attacks. This is also the reason why you hear people say that this mange isn't contagious. They'll only attack their hosts with weak immune systems. If you have a healthy dog, they are less likely to be affected.